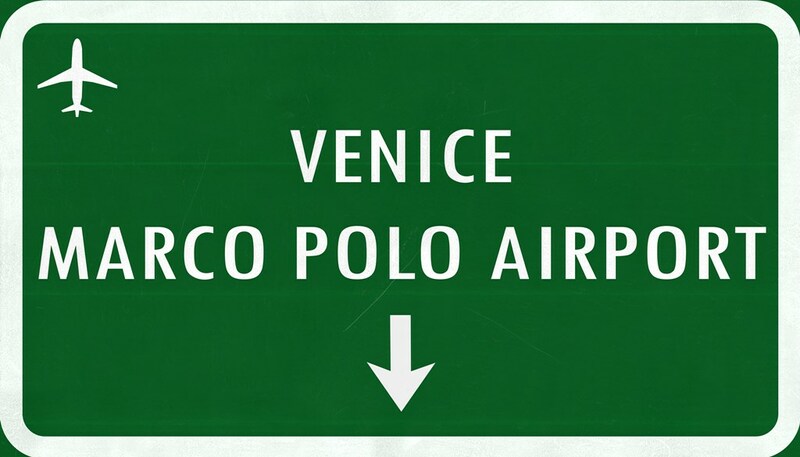 Venice Marco Polo Airport is located on the mainland, 8 km north of Venice center. 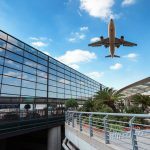 It is the fourth busiest airport in Italy and counts more than 10 million passengers per year, thanks to the ever-increasing number of tourists visiting the Lagoon. 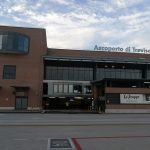 NOTE: The airport IATA code of Marco Polo Venice Airport is VCE, make sure not to confuse it with Treviso Airport (IATA: TSF), which by some airline companies is also referred to as Venice Airport (mostly used by low-cost airline companies). Although travelling to and from the airport is not as easy as in some other cities on the mainland, there are a few options to choose from. Airport bus – the cheapest and easiest way to travel between the airport and the city center. The ATVO express bus is a direct, non-stop bus that will take you downtown to the main bus station, Piazzale Roma, in just 20 minutes. This bus goes every 20 minutes and the price is 8 euros (15 euros for the return ticket). The ticket can be purchased at the airport, at ATVO machines, or online. Also, to go to the airport you can buy the ticket in the city center. Local bus – the local ACTV bus line number 5 will get you to the bus terminal Piazzale Roma in approx. 35 minutes but bear in mind that it is a small local bus that has several stops on the way, and is usually crowded, so travelling with luggage can be a hassle. Tickets for this bus are cheaper and can be bought at the newspaper stands called Tabacchi (with a big T sign above them). NOTE: The ticket has to be validated on the bus through the machine. Public boat – the local boat line runs from the airport to the city center and stops in front of St Mark’s Square, with several stops on the way. Although an interesting ride, it can be time-consuming, because from the first to the last stop it takes an hour and a half. The price is 15 euros (27 euros for the return ticket) and can be purchased online as well as at the ticket office. The public boat is also a way to get to the other parts of the city or to the nearby islands. 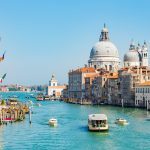 Transfer: If you wish to have more comfort, or you have a lot of suitcases, you can always book the door-to-door transfer to your accommodation in Venice area. But bear in mind that Piazzale Roma is the furthest point in the center where a car/van can take you. Taxi services – just like the bus, the taxi will take you to Piazzale Roma, and from there you will have to walk or take the vaporetto to your accommodation. The estimated time from the airport is around 25 minutes and the prices range from 35-40 euros. Water taxi – a unique and luxurious way to reach the city center. Renting a private water taxi to get you directly to the doorstep of your accommodation, or as close as possible (depending on its exact location) will however be pricy. Single journey will cost you from 110-125 euros for a 25-minute ride. Renting a car at Marco Polo airport – all the major car rental companies, like Sixt, Avis, Europcar, etc. 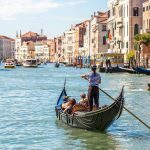 have their offices at Marco Polo airport, along with some local rent-a-car companies, here you can compare prices for car rentals from Venice airport. All car rental agencies are located on the 3rd floor of the multilevel parking P1. NOTE: Even if you book the car in advance, you have to go to the car rental office at the airport before picking up the car. Renting a bus at Marco Polo airport – if you are a large group arriving to the airport, you might consider renting a bus prior to your arrival. Buses are offered by several bus rental companies in the area. Q: Are there any intercity buses from the airport? Q: I arrive late at the airport, will it be a problem for me to get to the city? A: No, the last bus from the airport is at 00.50, and transfers and taxis run 24/7. A: Yes, there are several hotels located 1 km from the airport, in the area called Tessera, and they can arrange the transfer to the airport in case you have a lot of suitcases, but alternatively the walking distance to the airport is 10 minutes. Q: I would like to visit Venice in between flights? Is that possible? A: Sure thing, buses to Venice centre run frequently and you can leave your luggage either at the airport, Piazzale Roma, Trochetto Terminal or Santa Lucia train station. Just look for Trasbagagli office. Airport luggage office is open from 05:00 to 22:00 and it is located at the exit hall “A”. Q: I need to go to Mestre train station. How do I do that? A: Mestre is easily reachable by ACTV bus lines 15 or 45. Buses depart approximately every 30 minutes to and from the airport. There’s Valecenter Shopping Center only 7-min drive from Venice Marco Polo, however there’s no direct bus line to the shopping center. You should probably get a taxi instead.